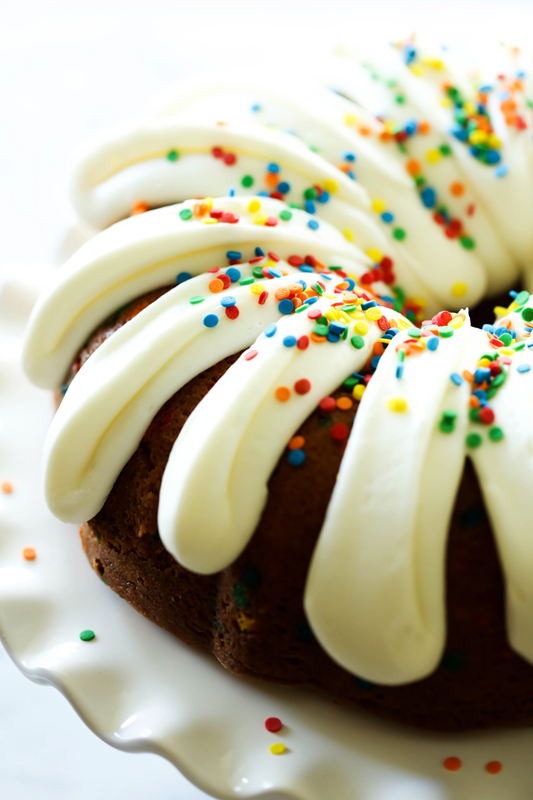 This Funfetti Bundt Cake is perfectly moist and absolutely delicious! It is such a fun and bright cake and perfect for celebrating! 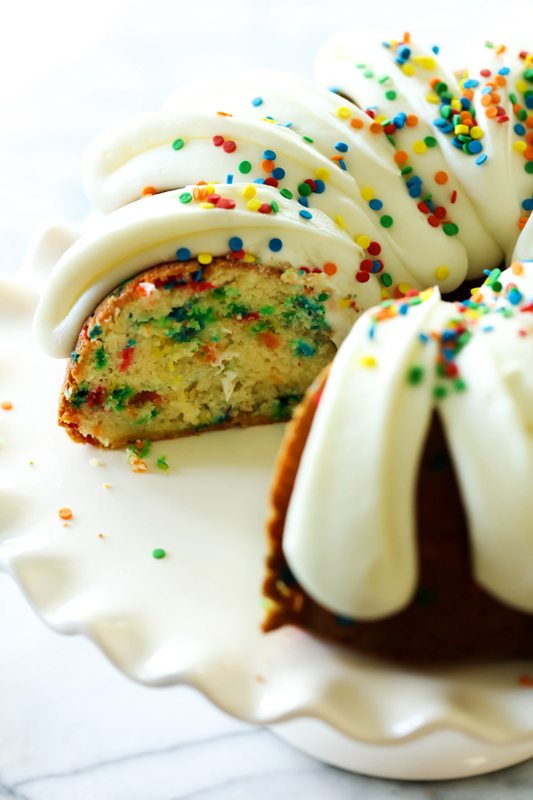 Funfetti Cake has always been one of my favorite cakes! 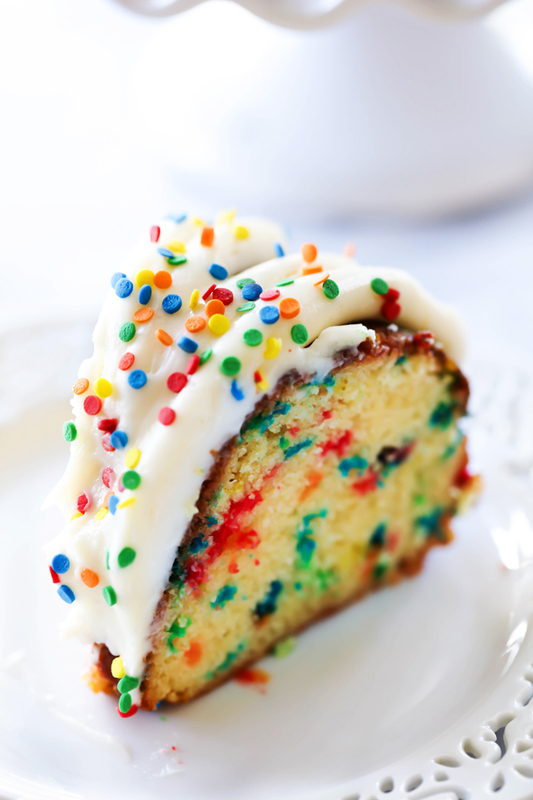 I love the bright colors, I love the sprinkles and I love that it makes me happy. This doctored up cake mix will completely blow your mind! Never in my life have I tastes a more moist cake. I have a variety of these cakes up on the blog and they are all to die for! The biggest tip I have for getting an exceptionally moist cake is that, once it has cooled completely, wrap it in saran wrap completely and let it sit for a few hours. This technique traps in the moisture and it takes a good cake and makes it GREAT! This cake is perfect for any celebration. It will be the hit of the party for sure! Cool in pan on a rack for 7 minutes. Then remove from pan and cool completely. Why would this not be available to pin ?